At Aisleigh Guesthouse you can relax in style and enjoy a wonderful vacation away from it all. This family-friendly guesthouse has a beautiful landscaped garden, which is the perfect place to ponder in the evening sunshine. Aisleigh Guesthouse is beautifully furnished throughout and great emphasis is placed in ensuring your comfort during your stay. Facilities include en suite bedrooms with TV, direct dial telephones, fax, games room and sauna. Local genealogy a speciality. Nearby there is golfing, swimming, tennis, squash, cruising, fishing (tackle & bait supplies) horse riding, walking, cycling, etc. 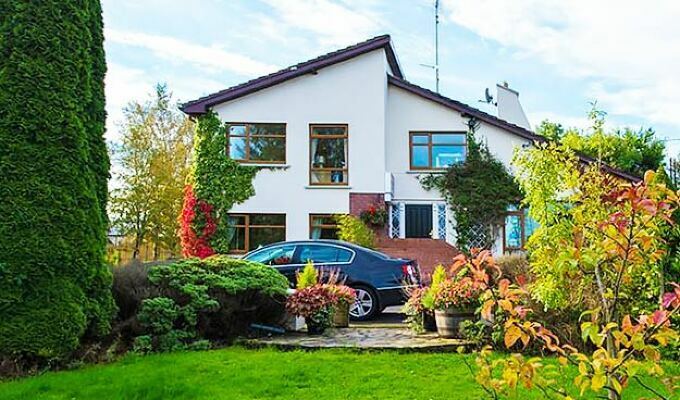 Aisleigh Guesthouse is located 1Km on the right coming from Carrick On Shannon on the N4.